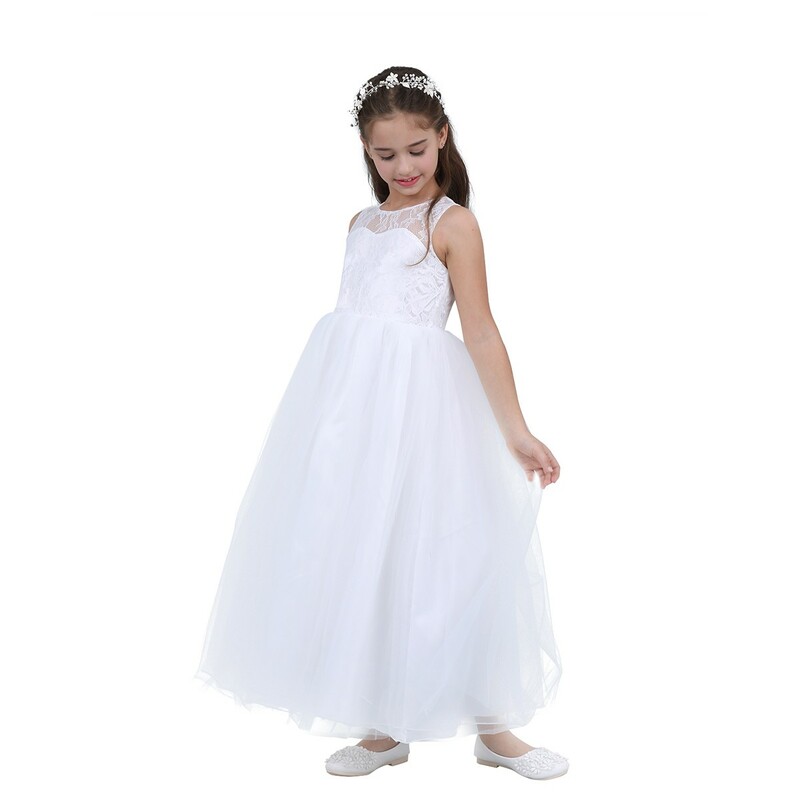 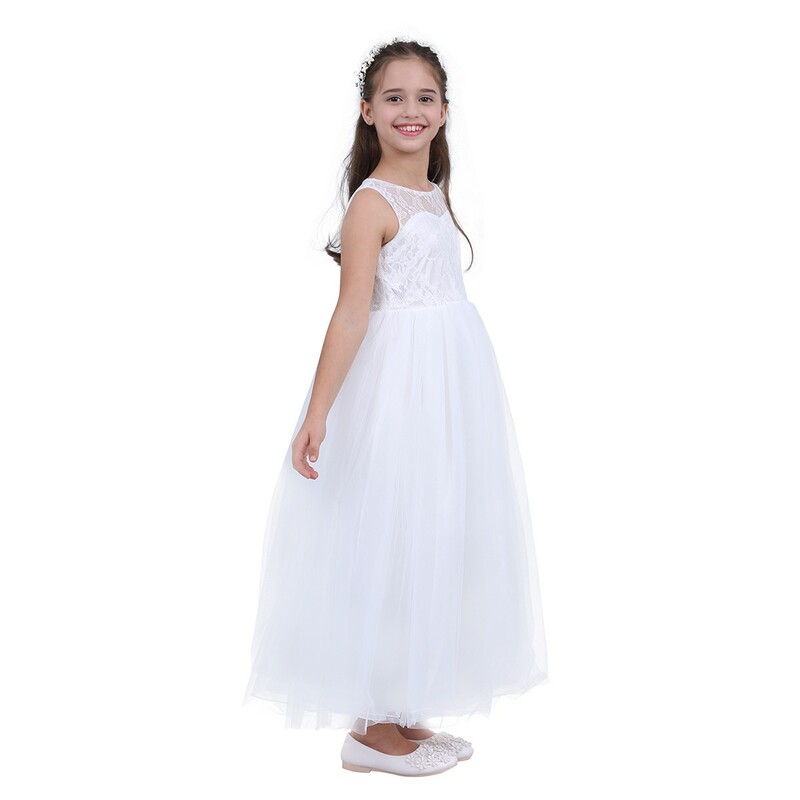 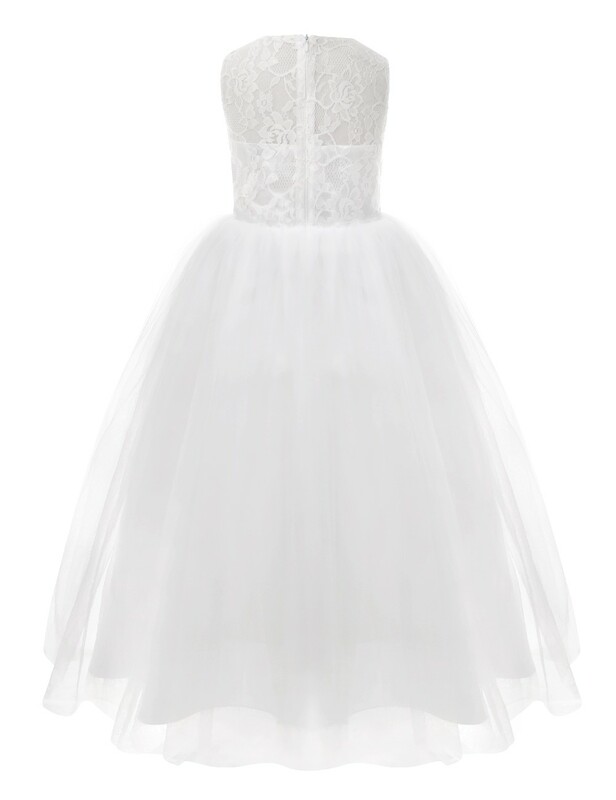 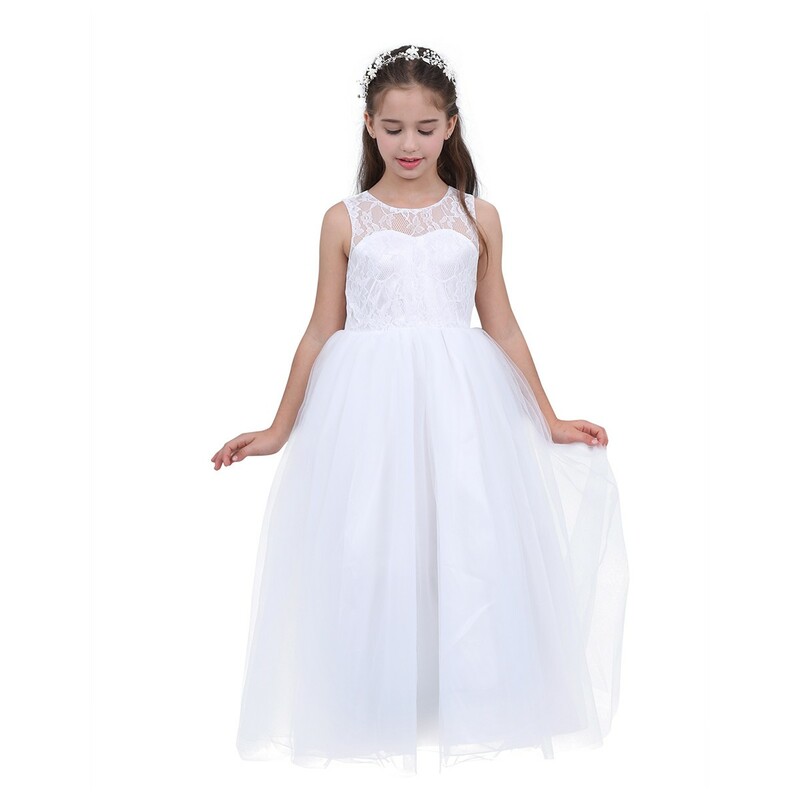 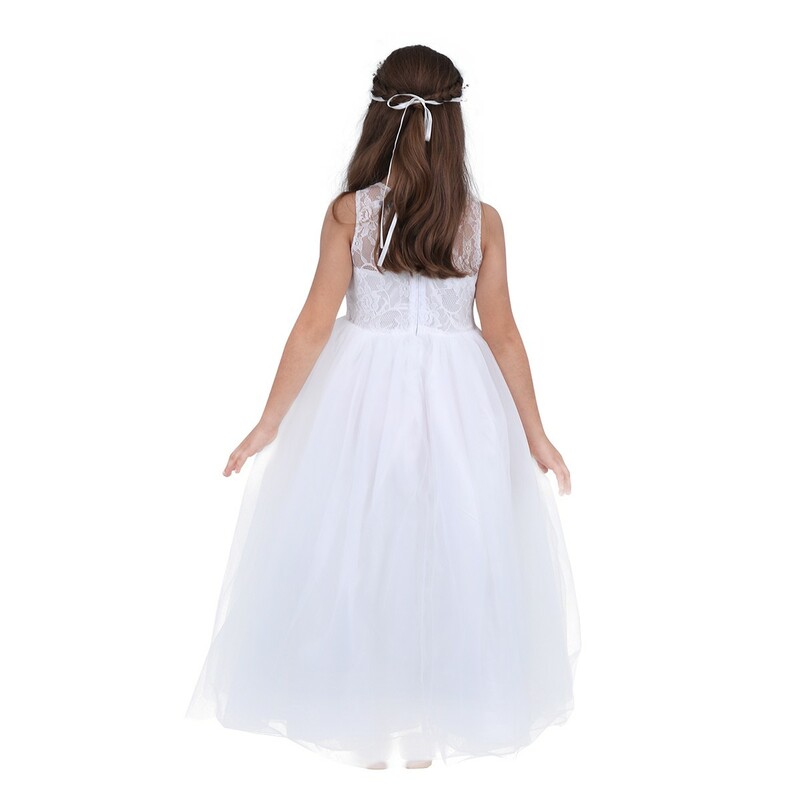 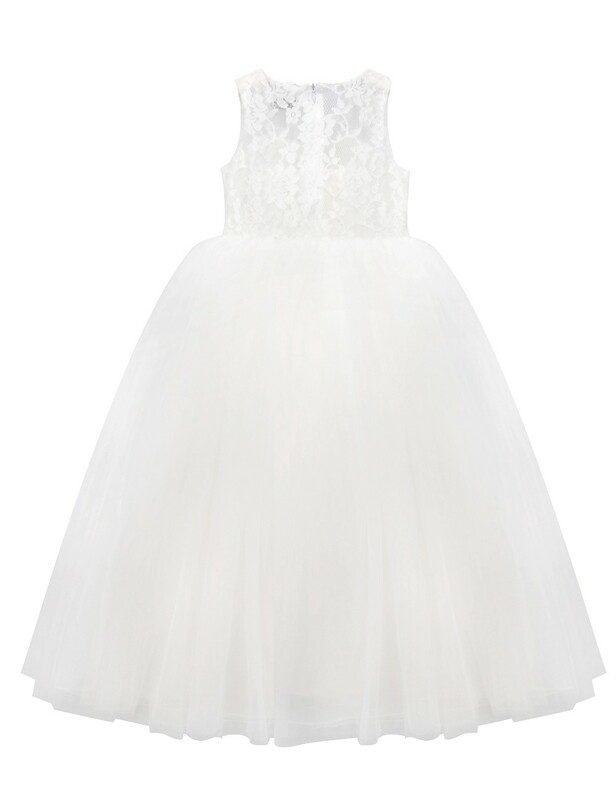 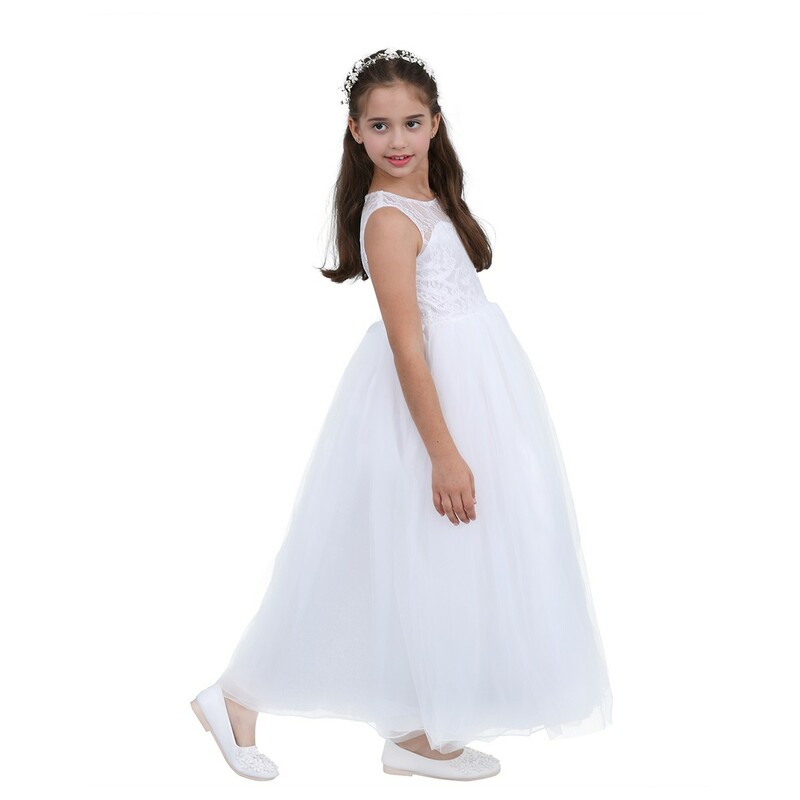 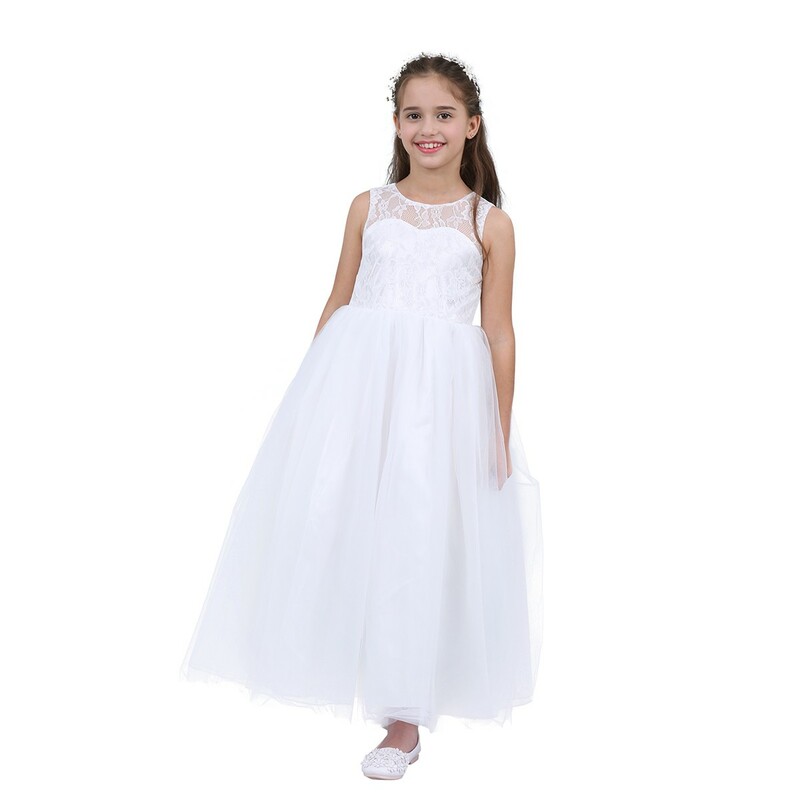 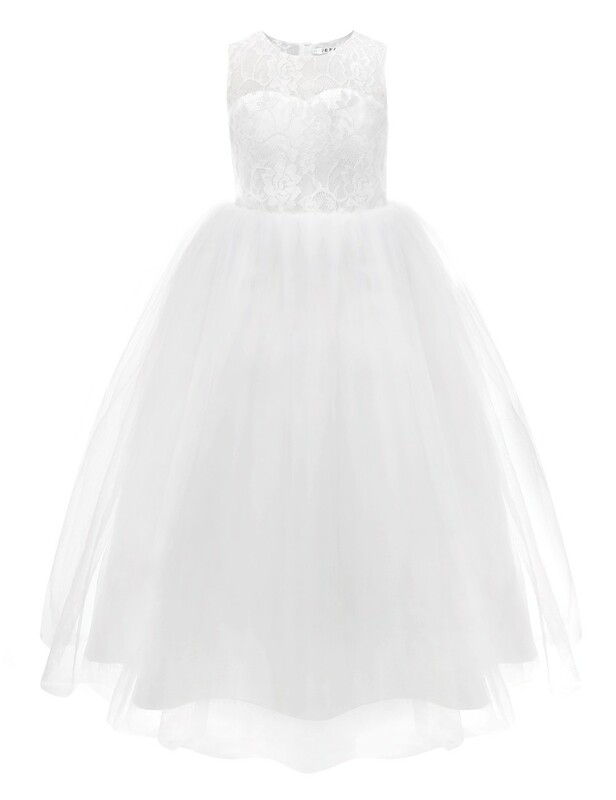 Gorgeous Kids Girls Sleeveless Princess Wedding Party Dress. 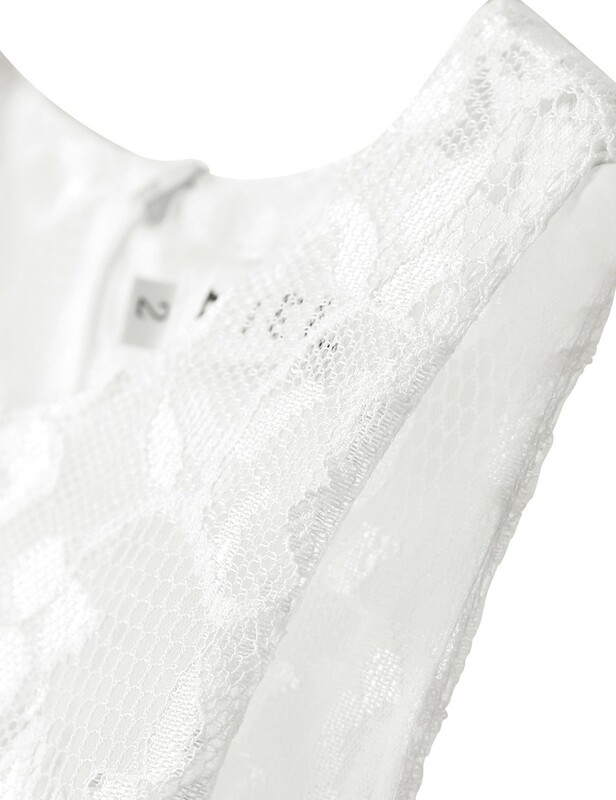 Floral lace top bodice and hidden back zipper. 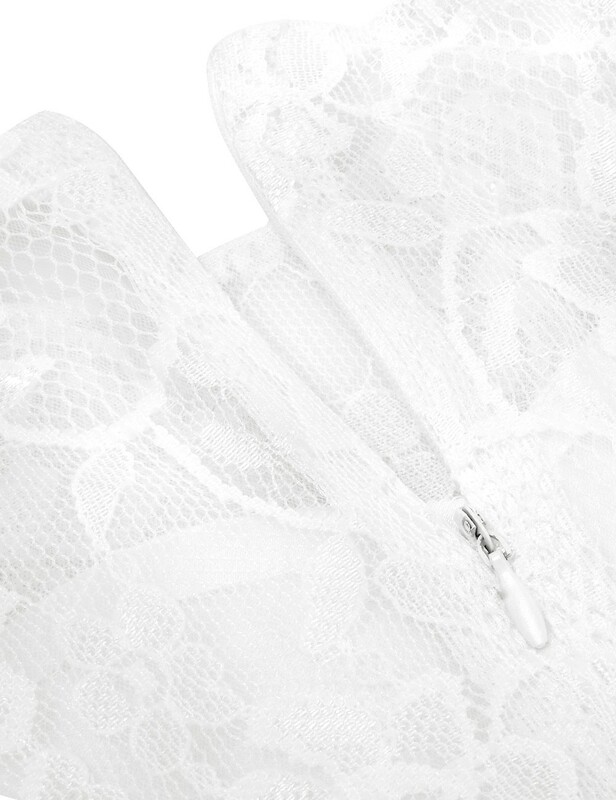 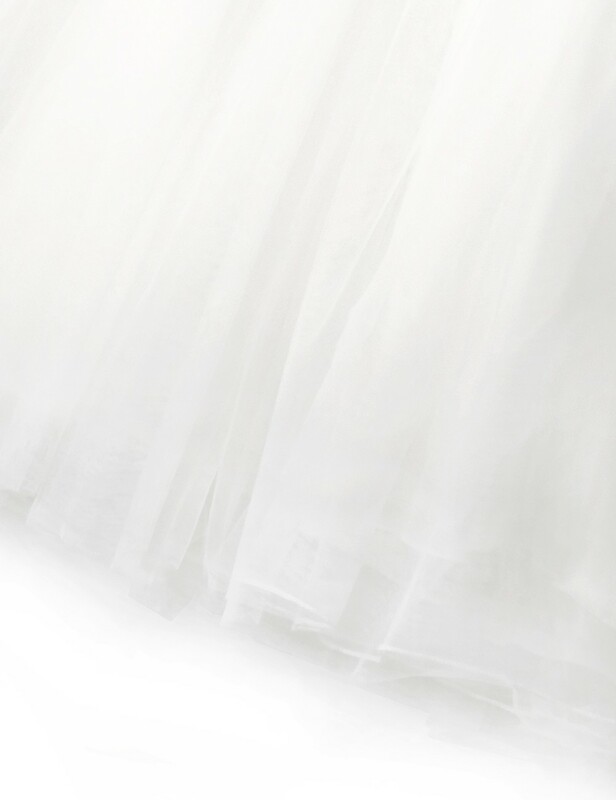 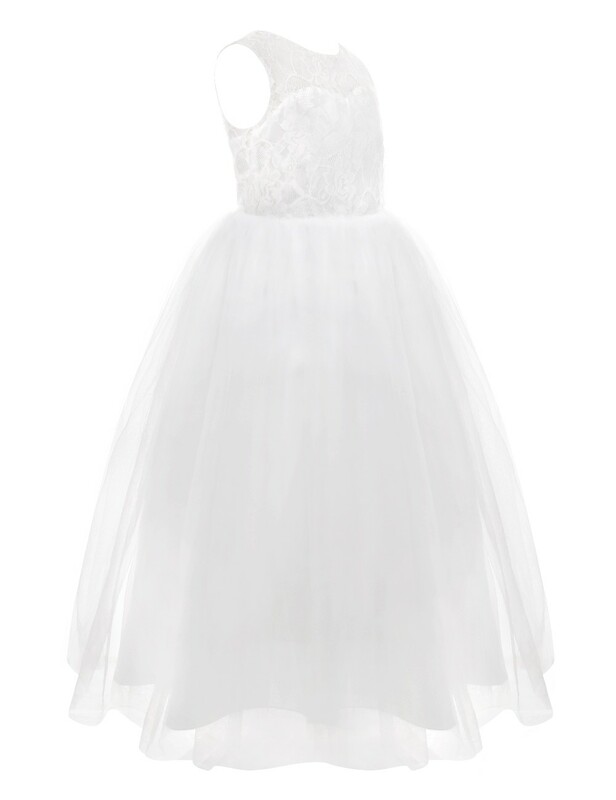 5 layers skirt, 2 mesh layers, 1 organza layer, 1 layer satin and 1 lining with netting for additional fullness.